The conventional method of recovering spent abrasives is both labour intensive and time consuming, while the fastest and most cost-effective method of cleaning up spent abrasives is by vacuuming. 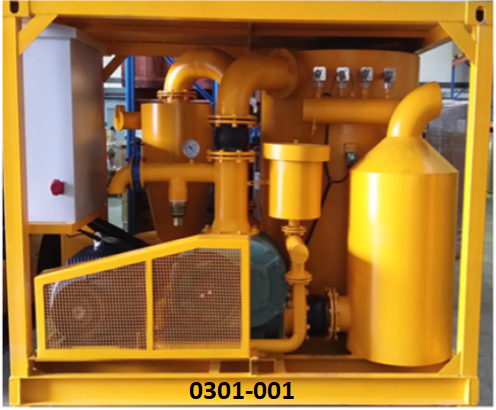 Speedo has specially developed the pneumatic vacuum recovery system suitable for blasting operations. The system is engineered for minimum installation, easy operation, simple maintenance and increased productivity with superior overall performance. Speedo’s pneumatic vacuum recovery system provides 24-hours cleaning operation and allows for silo to be fitted with a rotary-valve (optional) for continuous dumping operation. 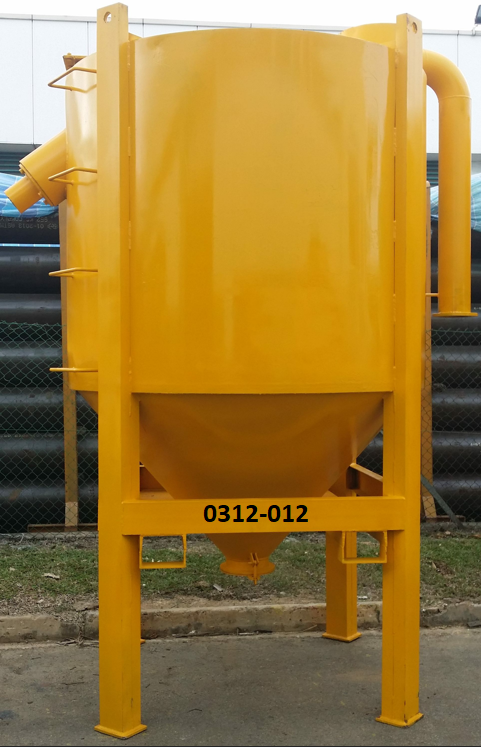 The silo is equipped with a full-tank sensor to shut off the vacuum machine when it is full, preventing overloading of abrasives into the dust-collector. At the same time, it can also be engineered to activate the warning light and alarm (optional). System automatically shuts-off to prevent damage to the vacuum producer when the suction hose is choked up with abrasives and when the electric motor’s current rises above a certain pre-determined value. Cyclone is equipped with a full-tank sensor to shut down the vacuum machine when it is full to prevent overloading of abrasives in the dust collector. Silo full-tank sensor available as an option. An emergency ‘STOP’ button, when depressed, will automatically cut off all electrical supply.